“Where are your bags?” is the most frequent question I’ve been getting lately from the friends I stay with when I travel for author events. I show up at their doors with a small tote in my hands, and they look around me for the rest. “This is it,” I say, and they marvel at how little my bag is. For some reason, I guess everyone expects me to be loaded down with luggage, dragging along a carry-on case, a tote on my shoulder and more bags to come. While that may have been the norm for me years ago on the rare occasions I flew somewhere with my five kids, it’s no longer my style. These days, I fly with minimal baggage, and I love it. Instead of packing car seats, food snacks, toys, games, and multiple outfits for all, I get a kick out of taking as little as possible. I actually look forward to living out of one small bag for three or four days, since it requires me to trim my wardrobe to only the essentials I need. Once on the road, I don’t have to make any clothing choices since I already made them when I packed; I save time and effort with less to manage. Limiting myself forces me to evaluate priorities and pack accordingly. There’s no room (literally!) for changing my mind, or my clothing options. The result is perfect for traveling: I have what I need and no more. It makes me feel mentally and emotionally light and free, and I don’t have to physically exhaust myself lugging extra bags. To fly unfettered by baggage is a wonderful thing in a world of extra luggage fees, delays, and lost bags. If only I could do the same with my journey through life! “Do not get any gold or silver or copper to take with you in your belts— no bag for the journey or extra shirt or sandals or a staff, for the worker is worth his keep,” Jesus tells his disciples when he sends them out to preach and minister in Matthew 10. Clearly, our Lord knew the value of traveling light! Without all that extra baggage to keep track of, his disciples were free to devote themselves to the work to which they had been called. Unencumbered with material concerns, they could focus on the priorities, the essentials of Christian mission. 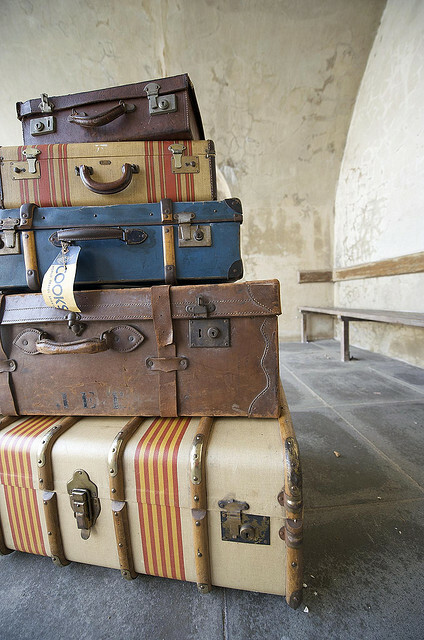 How do you pack for your journey? This entry was posted in Devotion, Encouragement, Writer's Life and tagged devotional, encouragement, encouragement for writers, Jan Dunlap, Writer's Life, writing life by jandunlap. Bookmark the permalink.